ESPN West Palm's "coach", Chris Kokell, gives a comprehesive film breakdown of high school football prospects across Palm Beach County and the Treasure Coast. I'm told from the editorial staff that typing EVERYWHERE was not sufficient no matter how accurate it is. Devin Studstill is a game changer from the safety position. He has great natural instincts that make it appear the ball is trying to find him. Goes and get the ball at its highest point to keep it away from the receiver. Gets out of his break very fast and drives on the ball. Big hitter. When not making a play on the ball, Studstill will play the man effectively and brings force to separate the ball from the receiver. Very effective against the run. Like most great strong safeties, Studstill has a knack for blitzing off the edge and making plays in the backfield. Studstill is very solid in all phases of the game. In the off, season he should an emphasis on speed training to really show out in the forty to appease all the combine guys. I would love to see him in straight man coverage on his film because he will have to play some cover zero at the next level from either safety spot. As with all high school athletes, Devin needs to stay committed to working on technique and getting stronger to excel at the collegiate level. I showed a friend in the coaching world this film and received an expletive filled response about how good Devin Studstill is and can be. When you throw on a film and a coach gets that jacked up, that's the true measure of a stud player. Devin is a top ten player in Palm Beach County and the Treasure Coast and should only get better as he continues to grow and mature. He has 14 offers already, by the end of his senior year, Studstill may have his choice of any school in the country. Chris Kokell covers high school football for ESPN 106.3 and is the color analyst for "Football Night in South Florida". He has served as head coach at both Pope John Paul II and Forest Hill. 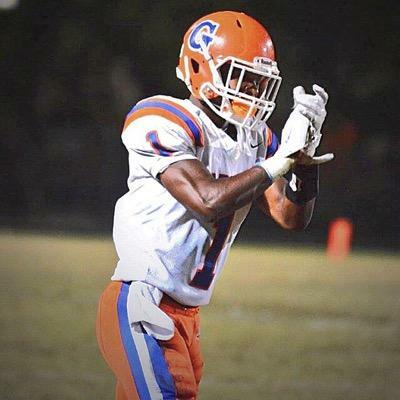 To recommend an athlete for Kokell to feature in a future "Film Room", please send player info and a film link to him on Twitter at @REALCOACHK, or e-mail ckokell@espnwestpalm.com.